When I was 12 years old, I was obsessed with netball. Completely, utterly and hopelessly obsessed. I had my mind firmly set on becoming a famous Netballer and in my mind it began right there and then. I had made the SAPSASA team the year before (if you’re not from South Australia, this is a representative team for your region in primary school) and was determined to be one of the best players in the competition that year. There was a ‘Year 7 Sports Camp’ that the best 40 players at the tournament were selected for, as well as an Under 13 state team. I didn’t know if I was good enough, but my heart ached to make both of these teams. 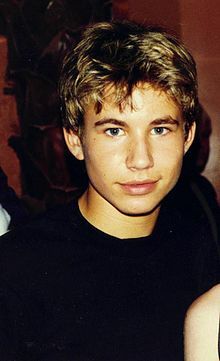 I ached for it like most tweens ached for Johnathon Taylor Thomas. There was one big hurdle. Earlier that year I had been billeted to Adelaide for the SAPSASA Tennis tournament and almost didn’t make it through. I was completely paralysed by homesickness. To this day, it is one of the hardest things I’ve done. When it came to the day to get on the bus to travel to Adelaide for SAPSASA netball, and be billeted once again, I didn’t want to go. I didn’t want to go to the place where, in my head, all of my dreams could potentially come true. I had been so focused on this goal and I was ready to throw it in before it even started. I didn’t think I could do it. My Mum, knowing my fear, pulled out a stroke of genius. She told me a story about how absolutely ANYONE can achieve what they want, as long as they focus on it enough. That morning she told me to write down my goal and put it in my sock. Being the good girl I was, I went to my desk and dutifully wrote down “I make the Year 7 Sports Camp” on a small piece of paper. I folded it, and popped it into my fresh white crew sock. What I didn’t realise at the time is that it took my mind completely off of my fear of being homesick again. It re-focused it on what I really wanted: to be one of the best players in SA and make the Sports Camp. Every morning that I was at my billets house, I would quickly write down that goal, fold it up and put it in my sock. Most of the time I forgot it was there, but when I felt scared, I remembered that if I thought about that piece of paper, what was written on it would come true. Mum’s don’t lie, right? I’m sure you can already guess the outcome. I played my little heart out that week. I was one of the best players in the tournament and I made the Year 7 Sports Camp. I went on to make the U/13 State team, was named captain and went through that tournament undefeated. Oh, and I never got homesick again. This practise I have come to learn in recent years is called the Law of Attraction. What we think, or focus on, we become. There’s no way around it. The danger is that if we continually focus on what we don’t want – that too becomes true for us. We have to channel our thoughts to things that make us feel good. That feeling lets us know that we’re going in the right direction for us. Mum encouraged me to use this technique time and again, and it always worked. It was magic! I used to write all of my goals on a piece of paper and stick them to my mirror. I would look at it everyday, not really thinking of it too much. Again, I just knew that if I wrote it down, it would happen. I never doubted it and it never failed me. When I was 14 I tried out for the 17 and under state team, when for most it was a far-fetched idea. I wrote down that I made the team and stuck it on my mirror. I made the team. When I was 16, I tried out for the 19 and Under State team. Again, not a common thing to do, let alone achieve. I wrote it down, stuck it on my mirror. And yep, I made the team. Mum encouraged me to go a step further. Once I made the 19/U team I really want to make the Australian squad, thinking it was an impossibility. I was 4 years younger than the other girls. Mum said, ‘just write it down - if you do, it will happen’. So I did. And you guessed it – I made the Aussie Squad. This has happened so many times throughout my life. Before I met Tom I wrote down EXACTLY what I wanted in a boyfriend. I wrote down what he looked like, what he wore, how he treated me, how he treated my friends and family and how I felt when I was with him. I wrote it down and forgot about it. I actually didn’t even look at it again. When we moved in together, I was cleaning out my room and came across the piece of paper and nearly fell over. I showed Tom - he could not believe it!!! It was him. Every. Single. Detail. I encourage you to get clear on what you want. Write it down and put it somewhere that you can see it. Imagine yourself achieving it. And trust that if you write it down it will happen. You are powerful. Much more powerful than you give yourself credit for. I’m going to use my weekend home with family to refresh and reset my goals - I find plane trips weirdly therapeutic and clarifying. When I get home, these goals will be put straight up on my mirror. Do you set goals and write them down? What goals have you had come true? Send me an email or comment below. If you like this post or think it could help someone you know, please share. Thanks for reading!